Tell me if this rings a bell. Are your search recommendations overlooked and misunderstood? Do you feel like you hit roadblocks at every turn? Are you worried that people don’t understand the value of your work? I have found that the same holds true in search. As an industry, we are great at talking about the work — we’re fabulous about sharing technical knowledge and new developments in search. But we’re not so great at talking about how we talk about the work. And that can make all the difference between our work getting implementing and achieving great results, or languishing in a backlog. It’s so important to learn how to navigate corporate bureaucracy and cut through red tape to help your clients and colleagues understand your search work — and actually get it implemented. From diagnosing client maturity to communicating where search fits into the big picture, the tools I share in this article can help equip you to overcome obstacles to doing your best work. Just because a client signed a contract with you does not mean they are bought-in to implement every change you recommend. It seemingly defies all logic that someone would agree that they need organic search help enough to sign a contract and pay you to make recommendations, only for the recommendations to never go live. When I was an independent contractor serving small businesses, they were often overwhelmed by their marketing and willing to hand over the keys to the website so my developers could implement SEO recommendations. Then, as I got into agency life and worked on larger and larger businesses, I quickly realized it was a lot harder to get SEO work implemented. I started hitting roadblocks with a number of clients, and it was a slow, arduous process to get even small projects pushed through. It was easy to get impatient and fed up. Worse, it was hard for some of my team members to see their colleagues getting great search work implemented and earning awesome results for their clients, while their own clients couldn’t seem to get anything implemented. It left them frustrated, jaded, feeling inadequate, and burned out — all the while the client was asking where the results were for the projects they didn’t implement. I surveyed colleagues in our industry about the common challenges they experience when trying to get their recommendations implemented. (Thank you to the 141 people who submitted!) 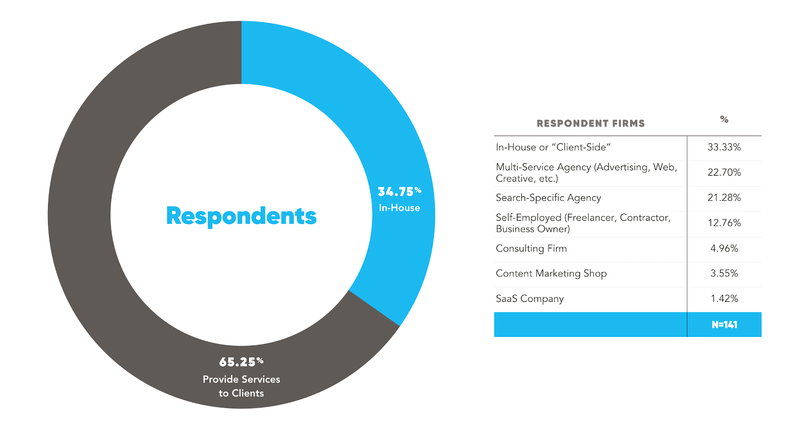 The results were roughly one-third in-house marketers and two-thirds external marketers providing services to clients. Some participants also wrote in additional blocks they’ve encountered – everything from bottlenecks in the workflow to over-complicated processes, lack of ownership to internal politics, shifting budgets to shifting priorities. Too real? Are you completely bummed out yet? There is clearly no shortage of things that can stand in the way of SEO progress, and likely our work as marketers will never be without challenges. When things don’t go our way and our work gets intercepted or lost before it ever goes live, we tend to be quick to blame clients. It’s the client’s fault things are hung up, or if the client had only listened to us, and the client’s business is the problem. Don’t get me wrong — this could possibly be true in part in some cases, but rarely is it the whole story and rarely are we completely hopeless to affect change. Sometimes the problem is the system, sometimes the problem is the people, and my friends, sometimes the problem is you. But fortunately, we are all optimizers — we all inherently believe that things could be just a little bit better. These are the tools you need in your belt to face many of the common obstacles to implementing your best search work. When we enter the world of search, we are instantly trained on how to execute the work – not the soft skills needed to sustain and grow the work, break down barriers, get buy-in and get stuff implemented. These soft skills are critical to maximize your search success for clients, and can lead to more fruitful, long-lasting relationships. Below are seven of the most highly recommended skills and techniques, from the SEO professionals surveyed and my own experience, to learn in order to increase the likelihood your work will get implemented by your clients. 1. How Mature Is Your Client? Challenges to implementation tend to be organizational, people, integration, and process problems. Conducting a search maturity assessment with your client can be eye-opening to what needs to be solved internally before great search work can be implemented. Pairing a search capabilities model with an organizational maturity model gives you a wealth of knowledge and tools to help your client. We also need to diagnose the organizational maturity of the client as it pertains to building, using and evolving an organic search practice. We have to understand the assets and obstacles of our client’s organization that either aid or block the implementation of our recommendations in order to move the ball forward. If, after conducting these maturity model exercises, we find that a client has extremely limited personnel, budget and capacity to complete the work, that’s the first problem we should focus on solving for — helping them allocate proper resources and prioritization to the work. If we find that they have plenty of personnel, budget, and capacity, but have no discernible, repeatable process for integrating search into their marketing mix, we focus our efforts there. How can we help them define, implement, and continually evolve processes that work for them and with the agency? 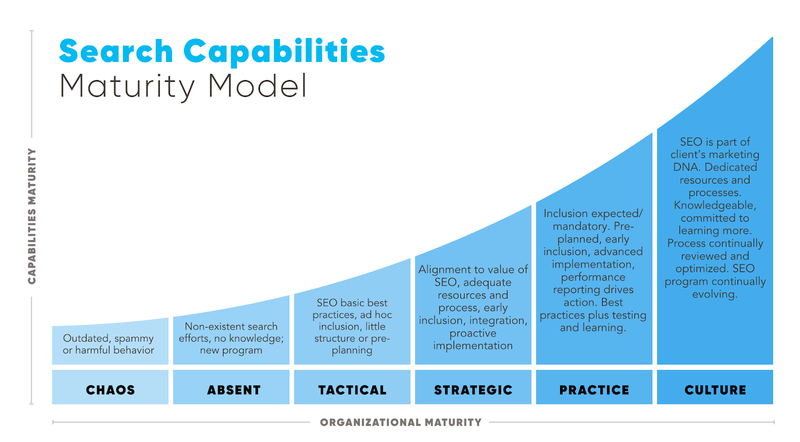 Perhaps the maturity assessment finds that they are adequate in most categories, but struggle with being reactive and implementing retrofitted SEO only as an afterthought, we may help them investigate their actionable workflows and connect dots across departments. How can we insert organic search expertise in the right ways at the right moments to have the greatest impact? Because we are subject matter experts in search, we are responsible for educating clients and colleagues on the power of SEO and the impact it can have on brands. If the executives are skeptical or don’t care about search, it won’t happen. If you want to educate and inspire people, you can’t waste time losing them in the details. Tailor your educational content to busy CEOs and CMOs, not SEOs. Make the effort to listen to, read, write, and speak their corporate language. Their jargon is return on investment, earnings per share, operational costs. Yours is canonicalization, HTTPS and SSL encryption, 302 redirects, and 301 redirect chains. Be mindful that you are coming from different places and meet them in the middle. Use layperson’s terms that anyone can understand, not technical jargon, when explaining search. Perhaps because we are so passionate about the inner workings of search, we often get deep into the weeds of explaining how every SEO signal works. Even things that seem not-so-technical to us (title tags and meta description tags, for example) can lose your audience’s attention in a heartbeat. Unless you know that the client is a technical mind who loves to get in the weeds or that they have search experience, stay at 30,000 feet. Another powerful tool here is to show, not tell. Often you can tell a much more effective and hard-hitting story using images or smart data visualization. Your audience being able to see instead of trying to listen and decipher what you’re proposing can allow you to communicate complex information much more succinctly. The goal of educating is not teaching peers and clients how to do search. They pay you to know that. Focus on the things that actually matter to your audience. (Come on, we’re inbound marketers — we should know this!) For many brands, that may include benefits like how it will build their brand visibility, how they can conquest competitors, and how they can make more money. Focus on the outcomes and benefits, not the granular, technical steps of how to get there. Similarly, if you are doing a roadshow to educate your peers in other disciplines and get their buy-in, don’t focus on teaching them everything you know. Focus on how your work can benefit them (make their work smarter, more visible, make them more money) rather than demanding what other departments need to do for you. Aim to align on when, where, and how your two teams intersect to get greater results together. While clients may honestly love the sound of things we can do for them with search, rarely is SEO the only thing — or even a sizable thing — on a client’s mind. Rarely is our primary client contact someone who is exclusively dedicated to search, and typically, not even exclusively to digital marketing. We frequently report to digital directors and CMOs who have many more and much bigger fish to fry. They have to look at the big picture and understand how the entire marketing mix works, and in reality, SEO is only one small part of that. While organic search is typically a client’s biggest source of traffic to their website, we often forget that the website isn’t even at the top of the priorities list for many clients. Our clients are thinking about the whole brand and the entirety of its marketing performance, or the organizational challenges they need to overcome to grow their business. SEO is just one small piece of that. The benefits of search are no-brainers for us and it seems so obvious, but we fail to acknowledge that every decision a CMO makes has a risk, time commitment, risks and costs associated with it. Every time they invest in something for search, it is an opportunity cost for another marketing initiative. We fail to take the time to understand all the competing priorities and things that a client has to choose between with a limited budget. More and more, brands are moving to integrated agency models in hopes of getting more bang for their buck by maximizing the impact of every single campaign across channels working together, side-by-side. Until we start to think more about how SEO ladders up to the big picture and works alongside or supports larger marketing initiatives and brand goals, we will continue to hamstring ourselves when we propose ideas to clients. It’s our responsibility to seek big-picture perspective and figure out where we fit. We have to understand the realities of a client’s internal and external processes, their larger marketing mix and SEO’s role in that. SEO experts tend to obsess over rankings and website traffic. But we should be making organic search recommendations within the context of their goals and priorities — not what we think their goals and priorities should be. For example, we have worked on a large CPG food brand for several years. In year one, my colleagues did great discovery works and put together an awesome SEO playbook, and we spent most of the year trying to get integrated and trying to check all these SEO best practices boxes for the client. But no one cared and nothing was getting implemented. It turned out that our “SEO best practices” didn’t seem relevant to the bigger picture initiatives and brand campaigns they had planned for the year, so they were being deprioritized or ignored entirely. In year two, our contract was restructured to focus search efforts primarily on the planned campaigns for the year. Were we doing the search work we thought we would be doing for the client? No. Are we being included more and getting great search work implemented finally? Yes. Because we stopped trying to veer off in our own direction and started pulling the weight alongside everyone else toward a common vision. Few brands hire only SEO experts and no other marketing services to drive their business. They have to coordinate a lot of moving pieces to drive all of them forward in the same direction as best they can. In order to do that, everyone has to be aligned on where we’re headed and the problems we’re solving for. Ultimately, for most SEOs, this is about having the wisdom and humility to realize that you’re not in this alone – you can’t be. And even if you don’t get your way 100% of the time, you’re a lot more likely to get your way more of the time when you collaborate with others and ladder your efforts up to the big picture. You need buy-in across practices in your own agency (or combination of agencies serving the client and internal client team members helping execute the work). We have to stop swimming in entirely separate lanes where SEO is setting goals by themselves and not aligning to the larger business initiatives and marketing channels. We are all in this together to help the client solve for something. We have to learn to better communicate the value of search as it aligns to larger business initiatives, not in a separate swim lane. Organic Search is uniquely dependent in that we often rely on others to get our work implemented. You can’t operate entirely separately from the analytics experts, developers, user experience designers, social media, paid search, and so on — especially when they’re all working together toward a common goal on behalf of the client. To get buy-in for implementing your work, you need buy-in beyond your immediate client contact. You need buy-in top-to-bottom in the client’s organization — it has to support what the C-level executive cares about as much as your day-to-day contacts or their direct reports. This can be especially helpful when you started within the agency — selling the value of the idea and getting the buy-in of your colleagues first. It forces you to vet and strengthen your idea, helps find blind spots, and craft the pitch for the client. Then, bring those important people to the table with the client — it gives you strength in numbers and expertise to have the developer, user experience designer, client engagement lead, and data analyst on the project in your corner validating the recommendation. When you get to the client, it is so important to help them understand the benefits and outcomes of doing the project, the cost (and opportunity cost) of doing it, and how this can get them results toward their big picture goals. Understand their role in it and give them a voice, and make them the hero for approving it. If you have to pitch the idea at multiple levels, custom tailor your approach to speak to the client-side team members who will be helping you implement the work differently from how you would speak to the CMO who decides whether your project lives or dies. This explanation is not good enough, and they don’t care. You need to know what they do care about and are trying to accomplish, and formulate a bullet-proof business plan to sell the idea. Case studies serve a few important purposes: they help explain the outcomes and benefits of SEO projects, they prove that you have the chops to get results, and they prove the concept using someone else’s money first, which reduces the perceived risk for your client. In my experience and in the survey results, case studies come up time and again as the leading way to get client buy-in. Ideally you would use case studies that are your own, very clearly relevant to the project at hand, and created for a client that is similar in nature (like B2B vs. B2C, in a similar vertical, or facing a similar problem). Even if you don’t have your own case studies to show, do your due diligence and find real examples other companies and practitioners have published. As an added bonus, the results of these case studies can help you forecast the potential high/medium/low impact of your work. It is important to bake the process into your business plan to clearly outline the requirements for the project, identify next steps and assign ownership, and take ownership of moving the ball forward. Do your due diligence up front to understand the role that everyone plays and boil it down into a clear step-by-step plan makes it feel easy for others to buy-in and help. Reducing the unknown reduces friction. When you assume that nothing you are capable of doing falls in the “not my job” description, and make it a breeze for everyone to know what they’re responsible for and where they fit in, you lower barriers and resistance. SEOs are often incredibly hesitant to forecast potential outcomes, ROI, traffic or revenue impact because of the sheer volumes of unknowns. (“But what if the client actually expects us to achieve the forecast? !”) We naturally want to be accurate and right, so it’s understandable we wouldn’t want to commit to something we can’t say for certain we can accomplish. But to say that forecasting is impossible is patently false. There is a wealth of information out there to help you come up with even conservative estimates of impact with lots of caveats. You need to know why you’re recommending this over other projects. Your clients need some sort of information to weigh one project against the next. A combination of forecasting and your marketer’s experience and intuition can help you define that. For every project your client invests in, there is an opportunity cost for something else they could be working on. If you can’t articulate the potential benefit to doing the project, how can you expect your client to choose it above dozens of potential other things they could spend their time on? Sometimes opportunity for growth isn’t enough to light the fire — also demonstrate the negative impact from inaction or incorrect action. The greatest risk I see with most clients is not making a wrong move, but rather making no move at all. We developed a visual tool that helps us quickly explain to clients that active optimization and expansion can lead to growth (we forecast an estimate of impact based on their budget, their industry, their business goals, the initiatives we plan to prioritize, etc. 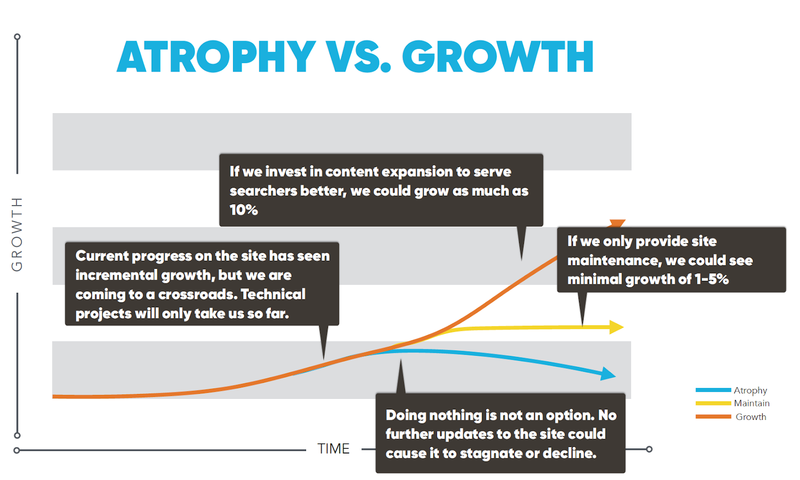 ), small maintenance could at least uphold what we’ve done but the site will likely stagnate, and to do nothing at all could lead to atrophy and decline as their competitors keep optimizing and surpass them. Remind clients that search success is not only about what they do, it’s about what everyone else in their space is doing, too. If they are not actively monitoring, maintaining and expanding, they are essentially conceding territory to competitors who will fill the space in their absence. You saw this in my deck at MozCon 2017. We have used it to help clients understand what’s next when we do annual planning with them. 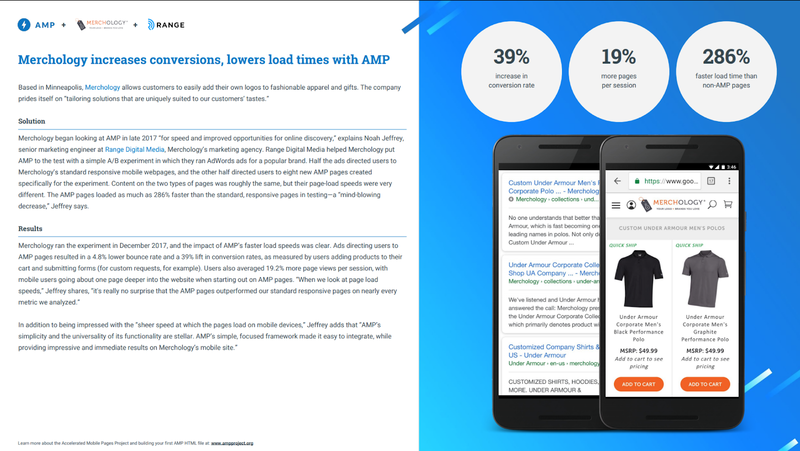 One of my teammates believed that AMP was a key initiative that could have a big impact on one of his B2B automotive clients by making access to their location pages easier, faster, and more streamlined, especially in rural areas where mobile connections are slower and the client’s clients are often found. He did a brilliant job of due diligence research, finding and dissecting case studies, and using the results of those case studies to forecast conservative, average and ambitious outcomes and calculated the estimated revenue impact for the client. He calculated that even at the most conservative estimate of ROI, it would far outweigh the cost of the project within weeks, and generate significant returns thereafter. He got the buy-in of our internal developers and experience designers on how they would implement the work, simplified the AMP idea for the client to understand in a non-technical way, and framedin a way that made it clear how low the level of effort was. He was able to confidently propose the idea and get buy-in fast, and the work is now on track for implementation. You can increase the likelihood that your recommendations will get implemented if you can help the client focus on what’s really important. There are two key ways to accomplish this. If you’re anything like me, you get a little excited when the to-do of SEO action items for a client is long and actionable. But we do ourselves a disservice when we try to push every recommendation at once – they get overwhelmed and tune out. They have nothing to grab onto, so nothing gets done. It seems counterintuitive that you will get more done by proposing less, but it works. Prioritize what’s important for your client to care about right now. Don’t push every recommendation — push specific, high-impact recommendations that executives can latch on to, understand and rationalize. They’re busy and making hard choices. Be their trusted advisor. Give them permission to focus on one thing at a time by communicating what they should care about while other projects stay on the backburner or happen in the background, because this high-impact project is what they should really care about right now. It’s easy to forget that our immediate client contact is not always able to make the call to pull the trigger on a project by themselves. They often have to sell it internally to get it prioritized. To help them do this, give them catchy headlines, taglines and sound bites they can sell to their bosses and colleagues. Make them so memorable and repeatable, the clients will shop the ideas around their office clearly and confidently, and may even start to think they came up with the idea themselves. As an example of both of these principles in practice, we have a global client we have worked with for a few years whose greatest chance of gaining ground in search is to improve and increase their website content. Before presenting the annual strategy to the client, we asked ourselves what we really wanted to accomplish with the client if they cut the meeting short or cut their budget for the year, and the answer was unequivocally content. This is the real slide from the real client deck we presented. The client left that meeting crystal clear, fully understanding our recommendation, and bought in. The best part, though? When we heard different clients who were in the meeting starting to repeat things like, “Content is our number one priority this year.” unprompted on strategy and status calls. Where possible, build parallel paths. What time-consuming but high-impact projects can you initiate with the client now that may take time to get approved, while you can concurrently work on lower obstacle tasks alongside? Having multiple irons in the fire increases the likelihood that you will be able to implement SEO recommendations and get measurable results that get people bought in to more work in the future. Finally, getting your work implemented is a balance of patience, persistence, communication and follow-up. There are always many things at play, and your empathy and understanding for the situation while bringing a confident point-of-view can ultimately get projects across the finish line. Special thanks to my VML colleagues Chris, Jeff, Kasey, and Britt, whose real client examples were used in this article.